If your home is riddled with stairs, sunken rooms, narrow doorways, tiny bathrooms and other pesky physical barriers prone to making life difficult on you when you get older — it’s not too late. 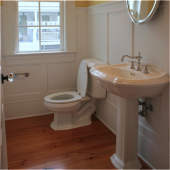 There are ample remedies available in the form of equipment and home modification solutions to help you continue living comfortably and independently in your own home for a lifetime. 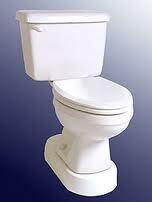 With over 40,000 existing homecare products and countless creative ways for adapting a home, your options are many. The first step is to understand what is possible. This article will give you a glimpse into the world of great possibilities for making life at home easier. 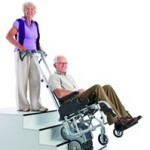 Arguably the feature that presents the greatest obstacle for people who are aging or disabled, is stairs. If the stairs that you hope to overcome are located between the first and second floor of your home, the most cost-effective solution is to simply move your bedroom to the first floor. 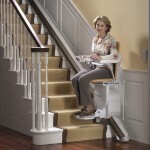 If this is not possible or the stairs are located on the exterior of the home, then consider one of the following solutions: install a ramp, a vertical lift, a stair lift, a wheelchair lift, an elevator, a Telecab (modified elevator) or purchase a stair climber. 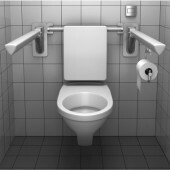 It is not uncommon for people coping with physical limitations to experience difficulty climbing in and out of a bathtub or shower, getting up and down from a low toilet, or getting into and out of the bathroom itself while using a mobility aid such as a walker, wheelchair or scooter. 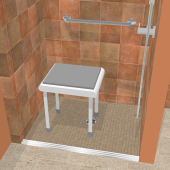 These problems can be overcome by one or more of the following solutions: widen the doorways; install a taller toilet model or insert a platform below your existing toilet; install grab bars beside your toilet and in the shower area; purchase a shower chair to sit on in the shower or a bath bench or bath lift to assist with transfers into and out of the bathtub; or remodel the bathroom and install an easy access curbless roll-in shower. Age-related changes can make it difficult to access low cupboards; wheelchairs can make it tough to get close to work surfaces, and using a standard walker can make it hard to carry items around the kitchen. 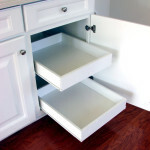 The kitchen can be modified by adding pullout shelving in the cupboards; removing cupboards below the sink and counters for easier access by a wheelchair user; installing electric, adjustable height counters; or purchasing a push cart or rolling walker with a seat to place plates and food items on for easy transport between the refrigerator, stove and kitchen table. For individuals who struggle to transfer in and out of a bed, a chair, a bathtub, or a car there are mechanical devices available, which can offer support during the transfers. 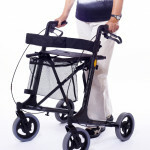 Some lifting devices allow an individual to perform the transfer independently; others require a caregiver’s assistance. 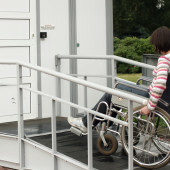 These devices can range from portable lifts and furniture lifts, to more permanent lifts that attach to the floor, wall, ceiling or the car frame. Visual limitations due to cataracts, macular degeneration, multiple sclerosis, diabetes or age-related changes in the eyes can have a significant effect on balance skills, depth perception, the ability to read medication labels, and so on. 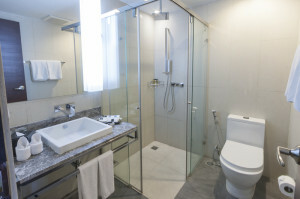 Common solutions include motion-sensor night lights, installing light switches at the top and bottom of the stairs, placing a lamp on the bedside table so it can be turned on to light your pathway at night, installing full-spectrum light bulbs or purchasing a metal halide bulb to place beside areas where reading is performed. If memory or falls are becoming safety concerns, there are a wide variety of solutions to address these areas including emergency alert systems; safety sensors which alert family if your routine is unusual; fall detection devices, which can alert family or an emergency response team; medication dispensers with voice reminders, keyless entry systems and much, much more. 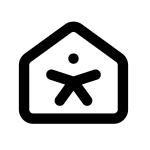 Thousands of Home Care Solutions!